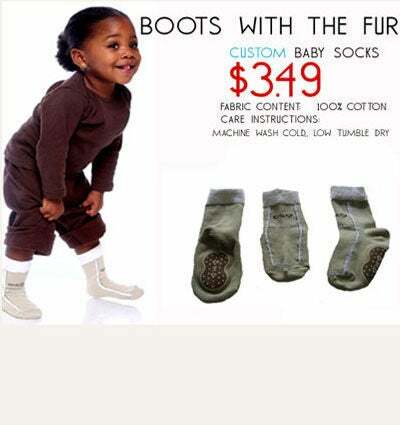 Little Miss Thing can get low in these custom “boots with the fur” baby socks. 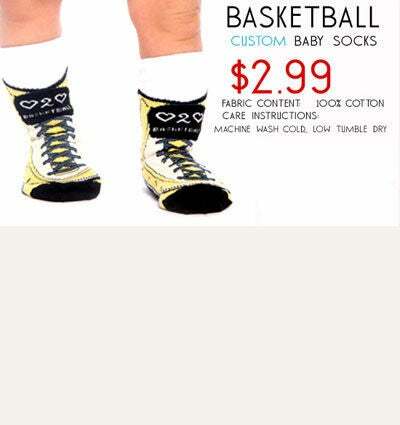 Your toddler will show who calls the shots in these custom basketball baby socks. 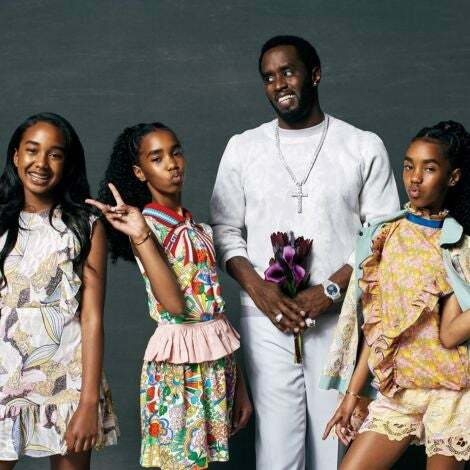 Who said Mary Janes could only look classic as shoes? 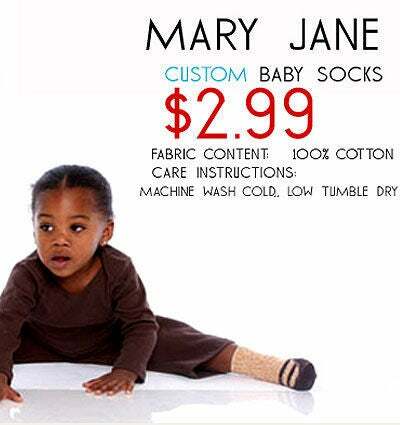 Your baby can look just as cute in custom Mary Jane baby socks. 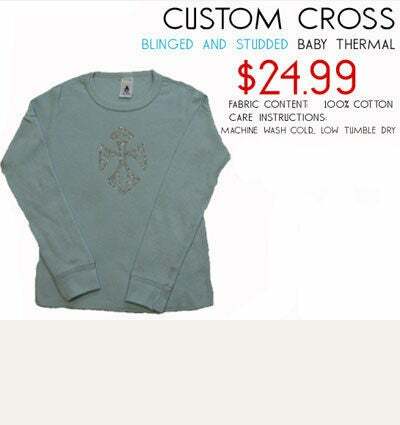 Your little one will look bad to the bone in this blinged and studded baby onesie. 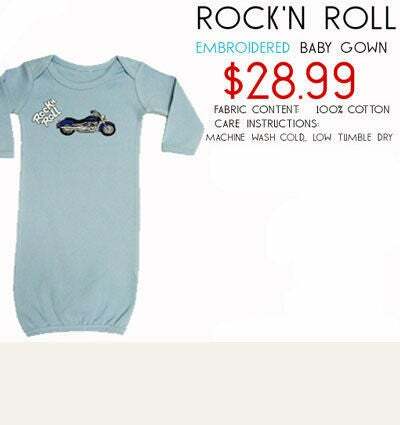 Here’s a rock ’n’ roll baby gown for the little guy who lives on the edge. Let the crowd know whose baby’s in charge with this ultrasoft onesie. 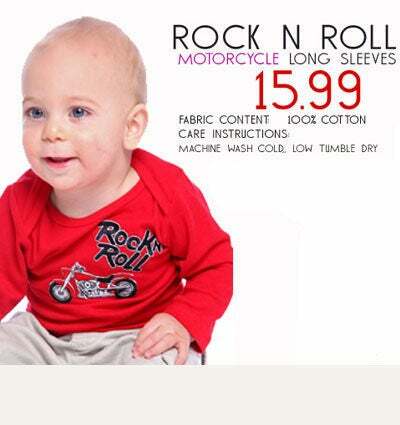 Your baby boy will make a statement in this red long-sleeve motorcycle shirt. 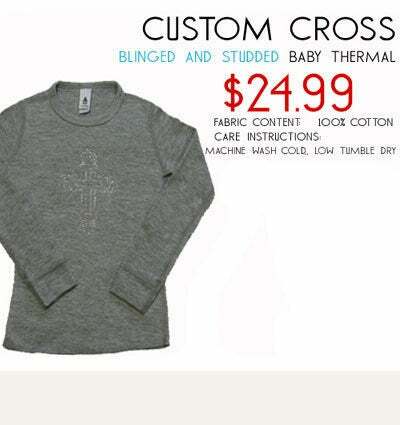 Keep the baby bundled in a gray blinged-out baby thermal. 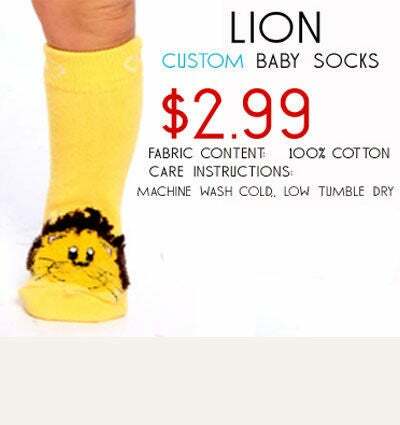 Let your baby unleash the girrrrl power within with these yellow custom baby socks. 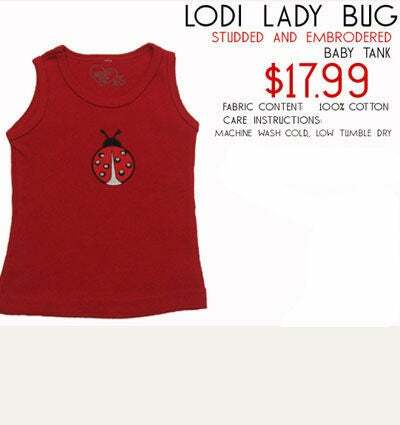 Your babe will look fly in this “Lodi Lady Bug” studded and embroidered baby tank. 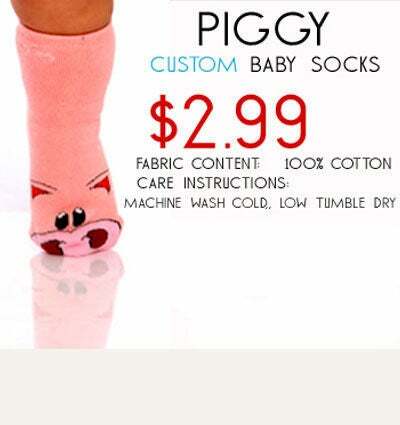 Even Miss Piggy wouldn’t be able to throw a hissy fit if she saw your baby in these custom pink socks. 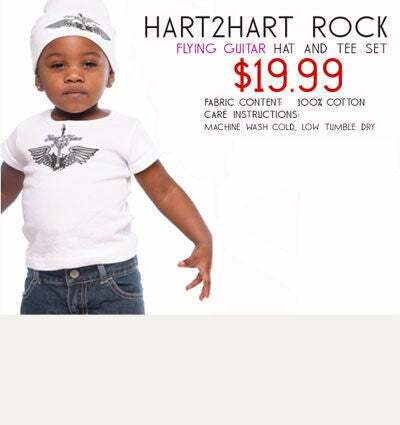 Your rocker chick will steal the show in the flying guitar hat and tee set. 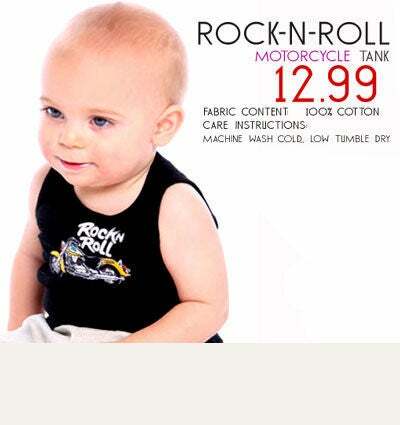 Give your tyke an edge in this rock ’n’ roll motorcycle tee. 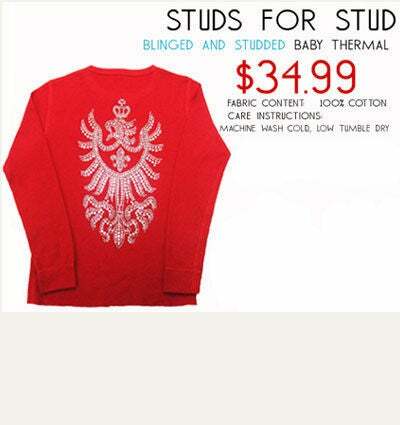 Your little diva will turn heads in this red studded baby thermal. 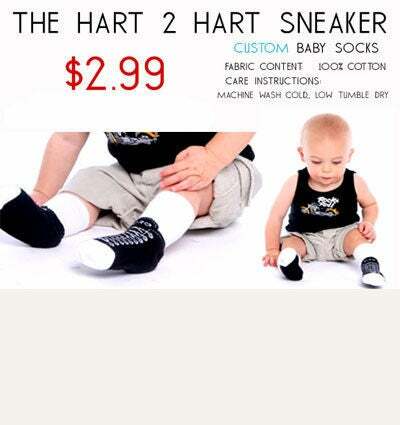 Keep your tot laced up in these “Hart 2 Hart” custom sneaker socks. 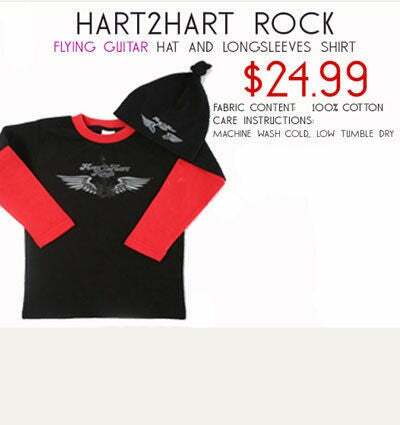 Have the coolest baby on the block in this flying guitar hat and long-sleeved shirt. Tell everyone your secret with this exclusive “Closet Freak” tee. 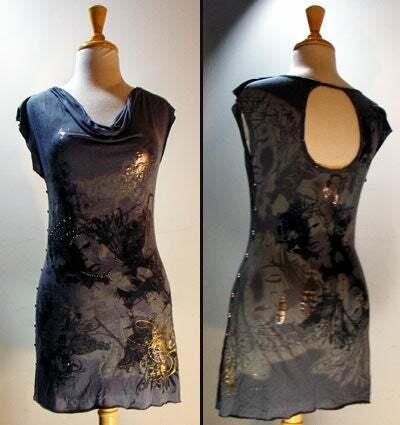 Dress this purple fitted tank up or down for the perfect Saturday night outfit or afternoon walk in the park.